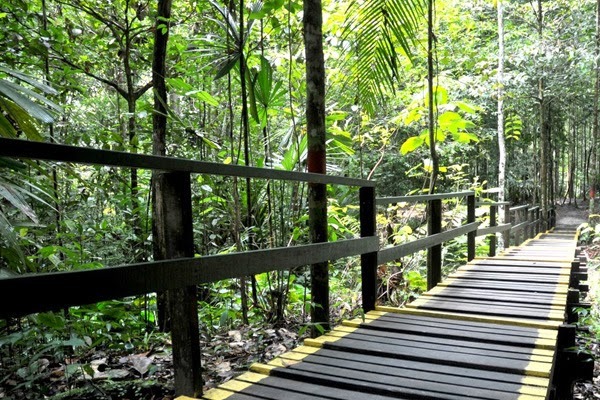 Lambir Hills National Park is about a 30 minutes drive from Miri Town, via the Miri- Bintulu road. There are public transportations to the park from the city. Visitors can also opt to take the commercial buses en-route to Batu Niah, Bintulu, Tinjar, Bakong or Bekenu bazaars. The buses depart from Wisma Pelita Tunku in Miri. Visitors may opt to join organised trips from travel agents departing Miri city early in the morning, and returning to Miri after lunch.